The Government will soon respond to a review of retirement income streams, including possible changes to minimum drawdown levels. One issue the Treasury was looking at was changes to the minimum drawdown amounts for superannuation pensions. An option raised was to adjust the minimum pension drawdowns based on market conditions, though this received very little support in submissions. However it appears that changes to the current drawdown schedule were still being considered. The discussion paper also asked about the impediments to developing new retirement income products, particularly around longevity and investment risk. “We certainly know that there haven’t been the suite of options available to people to actually take an income stream that would otherwise be available because of some of the regulations that have been put in place that have thwarted that,” said Kelly O’Dwyer last week. The income stream review followed from a pre-election promise. 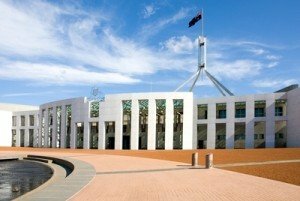 “As a priority, the Coalition will review the regulatory barriers currently restricting the availability of relevant and appropriate income stream products in the Australian market,” the Coalition promised prior to the last Federal Election. With increasing speculation of an early election, it is possible the Government is trying to meet this election commitment before going back to the polls.